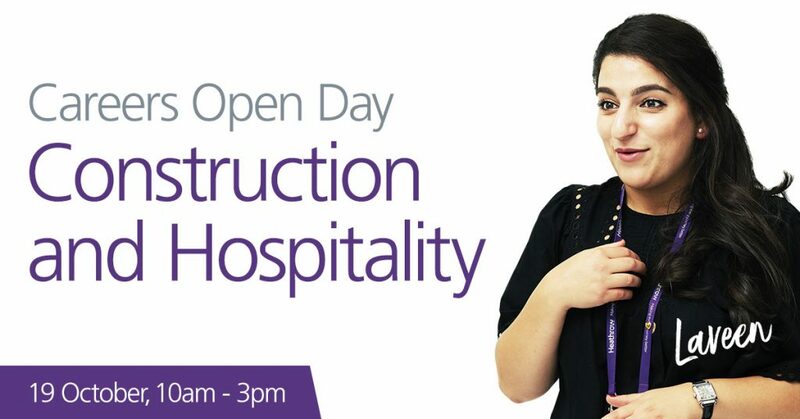 We are hosting an open day on the 19th of October for you to come and meet our experienced recruitment team and explore the diverse range of opportunities within Construction and Hospitality at Heathrow Airport. Our employers are always looking for talented individuals to join them in providing our passengers the best airport service in the world. On the day, you will be part of a short group talk which discusses about what the Academy represents and how we can help; including requirements for working within the airport environment. You will then have the opportunity to discuss the roles available directly with an experienced member of our team. We also ask that if you haven’t already created an account on our vacancy portal, that you head over to heathrowacademy.co.uk/register and sign up. This way it will save us time processing your details on the day.